Imagine that the best steeplechaser in the world and the best 5,000-meter runner in the world are squaring off this weekend for a world title. That would be pretty cool, wouldn’t it? 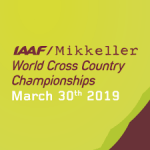 Open your eyes and get excited, because that’s exactly what is going down on Saturday at the World Cross Country Championships in Aarhus when Beatrice Chepkoech squares off against Hellen Obiri. One of the great things about cross country is that (in theory) it attracts athletes from all disciplines of distance running. And while that doesn’t always play out in practice, two of the world’s best distance runners — neither of whom has ever run World XC before — will be facing each other in the senior women’s race in Aarhus. Chepkoech and Obiri are the two biggest names, but they’re far from the only studs lining up to race this weekend. Ethiopian Letesenbet Gidey (14:23 5k pb, #8 all-time) will be stepping up to the senior race after winning the junior race at World XC in 2015 and 2017. Bahrain has entered a pair of studs in marathon world champion Rose Chelimo and 66:11 half marathoner Eunice Chumba. Plus there’s Ethiopia’s Tsehay Gemechu (30:15 road 10k) and sub-14:40 Kenyans Lilian Rengeruk (bronze at World XC in 2017) and Margaret Kipkemboi. The US has a solid squad of its own, fronted by the Bowerman Track Club trio of Courtney Frerichs (World Championship silver in steeple), Marielle Hall (2016 Olympian at 10,000), and Karissa Schweizer (2016 NCAA XC champ). It’s hard to imagine any of them medalling individually, but as a team, they’ve got a shot. We break down the race for the World XC individual title below. Can Hellen Obiri become the latest Kenyan star to win gold? For the last decade, Kenyan women have dominated World XC. 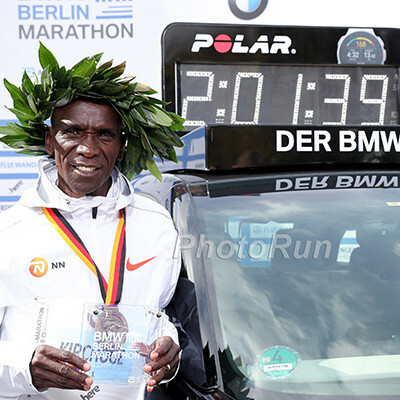 A Kenyan has won each of six individual titles on offer since 2009, with the Kenyan team taking gold in five of those six races (in 2015, they lost by two points to Ethiopia). In four of those races, Kenya went 1-2, but their performance in Uganda in 2017 topped them all. Not only did Kenya become the first country to sweep the individual medals in the women’s senior race, but they took it a step further by registering a perfect 1-2-3-4-5-6 finish, an accomplishment that can only be equaled and never beaten. Only one woman from that squad (third placer Lilian Rengeruk) returns in 2019. Two key members of that squad, 2017 World XC champ Irene Cheptai, and world 1500 champ Faith Kipyegon, are both still on the comeback trail after giving birth to daughters last spring. Obiri, 29, who gave birth to a daughter of her own in 2015, is more than equipped to step up in their absence. The Kenyan record holder in the mile (4:16), 3000 (8:20), and 5000 (14:18), Obiri is the reigning Olympic silver medalist and world champion in the 5000. She’s also won the last two Diamond League 5000 titles and has finished the year as LetsRun.com’s World #1 in the 3k/5k in both 2017 and 2018. Quite simply, she’s one of the finest distance runners of her generation. She’s also been in terrific form. On New Year’s Eve, she ran 29:59 for 10k at the downhill San Silvestre Vallecana road race in Madrid, finishing five seconds behind the red-hot Brigid Kosgei, but 41 seconds ahead of Tirunesh Dibaba. In cross country, she’s a perfect three-for-three this year, winning the Juan Muguerza race in Spain on January 13 by 20 seconds (she was 37 seconds ahead of third placer Beatrice Chepkoech), winning the Kenyan Defence Forces Championships on January 23 by 42 seconds, and winning the Kenyan trials by 10 seconds on February 23 (again, she was 40 seconds ahead of third placer Chepkoech). Obiri looks totally unstoppable, and her name would fit in nicely alongside previous champs Florence Kiplagat (2009) and Vivian Cheruiyot (2011) as the latest Kenyan star to win World XC. If Obiri loses, we don’t think it will be to a Kenyan. Chepkoech, the steeplechase world record holder, is an incredible runner, with range from 1500 (4:02 pb, Commonwealth silver) up to 5000 (14:39 pb). 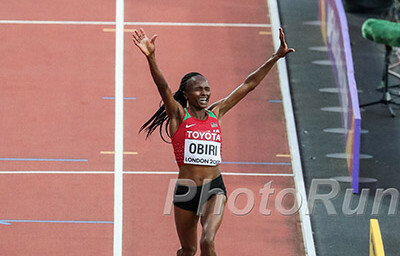 But she hasn’t been close to Obiri in either of their races this year, and we find it unlikely that she’ll be able to turn the tables on Saturday. The only woman within 40 seconds of Obiri at the Kenyan trials was Beatrice Mutai, but her PRs (15:40/31:28 road/69:30) don’t put her in Obiri’s class. And unlike on the men’s side, there’s no “trials curse”; when Cheptai won World XC two years ago, she also won the Kenyan trials. It’s also worth noting that 2015 world champ Agnes Tirop, who ran 14:24 last summer, is listed among Kenya’s eight entries (six can run) but we’re not sure that she’ll compete as she didn’t run the Kenyan Trials and we see no results for her in 2019. No, the best bet to upset Obiri comes from Ethiopia, where we see two possible candidates. 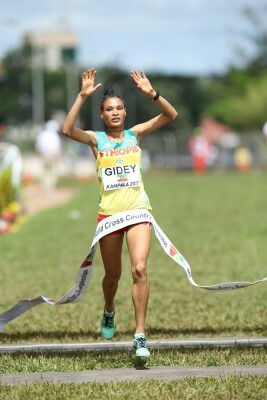 The first is Letesenbet Gidey, winner of the junior race at World XC in 2015 and 2017. 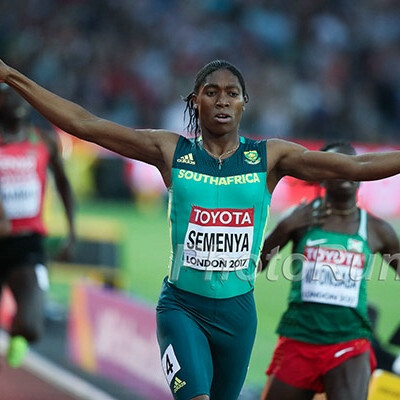 That pair of victories puts her in select company; Viola Kibiwott, Genzebe Dibaba, and Faith Kipyegon are the only others to achieve that feat. Yet despite their success on the track, none of those three women have won the senior race at World XC. That puts a slight damper on Gidey’s chances, but we should point out that both Dibaba and Kipyegon are 1500 specialists and the junior race at World XC is contested over 6k. The women’s senior race, meanwhile, is a 10k (8k before 2017), which doesn’t favor Dibaba or Kipyegon. Gidey should be a better fit. The 5000 is her event on the track, and since winning World Junior XC in Kampala, she’s taken chunks off her PR every year, going from 14:45 to 14:33 in 2017 and 14:33 to 14:23 last year. However, she finished two seconds back of Obiri in her PR race, and consistency is an issue: after finishing 2nd and 3rd at DL 5000s in Eugene and Rabat last year, she could only manage 7th in the DL final. But Gidey has a massive upside. She just turned 21 last week, and her 14:23 5k pb is much faster than Ethiopian legends Tirunesh Dibaba (14:30) and Meseret Defar (14:40) when they turned 21. At her best, she can challenge Obiri, but she’ll also have to navigate a tough course and an unfamiliar distance as her only career 10k came at the Ethiopian XC trials last month. 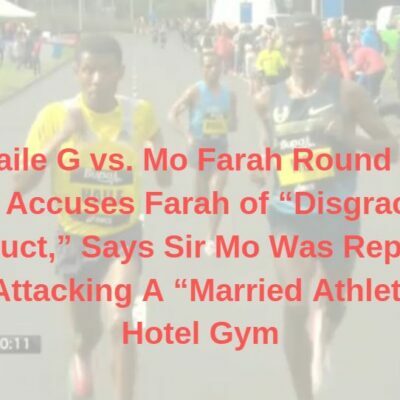 Speaking of the Ethiopian trials, Gidey didn’t win them. That honor instead went to Dera Dida, who is the other woman we could see knocking off Obiri. Dida, 22, took silver in the junior race at World XC in 2015, just one second behind Gidey. Dida dropped out in the heat of Kampala two years ago, but winning the Ethiopian trials by five seconds over Gidey shows that she should be considered a threat in Aarhus. The one concern is that Dida has been focused on the marathon recently — she ran 2:21 in her debut in Dubai last year, and 2:22 to finish 5th in Frankfurt in October. 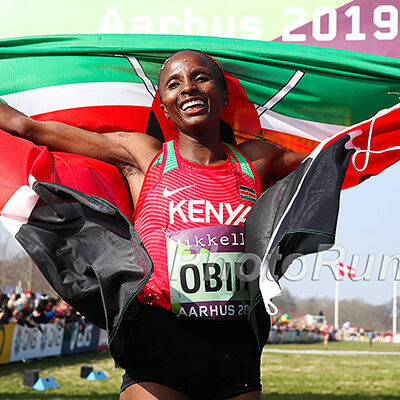 She owns an impressive 14:42 5000 pb on the track from 2016, and while Aarhus is certainly not a pure speed course, it’s still only 10 kilometers long, which suits Obiri and Gidey more than a marathoner like Dida. As mentioned in the intro, Bahrain returns two high finishers from 2017 in Rose Chelimo (9th) and Eunice Chumba (11th), but both of those women are marathoners — heck, Chumba has run two in the last four months — which makes it unlikely that they’ll actually win the whole thing against the 5k/10k studs. Ugandan trials champ Stella Chesang, the Commonwealth 10,000 champ, should also be in the mix for the medals, though she was only 18th on home soil two years ago. Nineteen-year-old Peruth Chemutai (9:07 steeple pb) is another Ugandan to watch, though she was only 6th at their trials in February. As for the Americans, an individual medal will be a tall order, even if Shelby Houlihan and Molly Huddle had elected to run. Only one non-African-born woman has medalled at World XC since 2004 — that was Shalane Flanagan back in 2011. And Flanagan will actually be in Aarhus Saturday — though she’ll be doing so in a coaching capacity as she supports her Bowerman Track Club teammates Marielle Hall, Courtney Frerichs, and Karissa Schweizer. All three of those women are talented enough to finish in the top 20, as is another American, Stephanie Bruce, who finished as the top non-African-born runner at World XC in 2017 (22nd). That’s a recipe that could be enough for a team podium finish, but World XC is a really tough race. Flanagan isn’t just the only non-African-born medalist since 2004; she’s also the only non-African-born woman to even crack the top 10 since 2006. Anything in the top 15 would be an oustanding run for an American (and would also give them the auto qualifier for the 10,000 at Worlds this year). 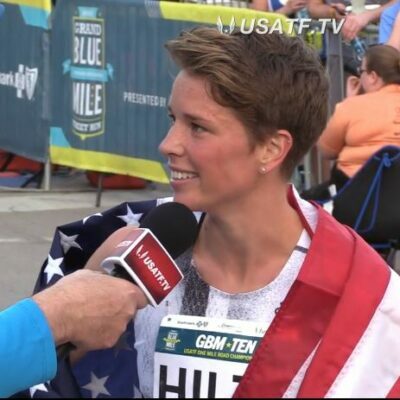 Team USA’s best bet is Hall, who not only was the highest finisher at USA XC (she was 28 seconds ahead of Frerichs, who was the next-closest athlete going to Worlds), but also beat both Frerichs and Schweizer when they ran the 5,000 at Boston University a month ago (Hall ran 15:07, Schweizer 15:11, and Frerichs 15:12). The 10,000 also suits Hall best out of anyone on Team USA; she was an Olympian at that distance in 2016 and the US runner-up behind Molly Huddle last year. There’s one other American worth mentioning. She won’t win the race, or even contend for a medal. Heck, she won’t even count in the official scoring. But she will be running for underdogs everywhere. Her name is Kelsey Bruce, and we’re sending the unsponsored 2:31 marathoner to World XC to race against the world’s best . Read more about her here: LRC Meet Kelsey Bruce, The LetsRun.com Entrant at the 2019 World Cross Country Championships. 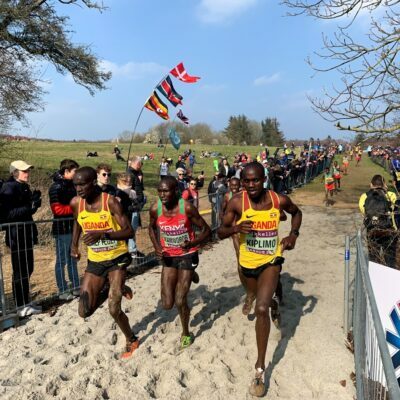 Who will win the senior women's race at 2019 World XC?